Congratulations! You’ve made it to Day 31. Hopefully you’ve found some of the challenges over this last 31 days to be useful. Thousands have completed the program over the years and I’ve heard so much great feedback, but there’s one thing I’d like to share with you today on the podcast. What’s the key to really getting the most out of 31 Days to Build a Better Blog? And how do you do that? I share all! You will need a calendar set up somewhere so make sure you have one you can use before you get going with today’s challenge. Nothing will change if you only think about it, so we’re going to ensure you’ve got the tools to keep on going the way you have and to really get stuff done. It’s all about keeping active, so I’ll help you put some strategies in place to do just that. I’m also going to share what the format for the usual podcasts will be and where you can find more activities to keep you busy and your blog the best it can be. Thank you so much for joining me this month, and I hope you enjoy today’s episode. 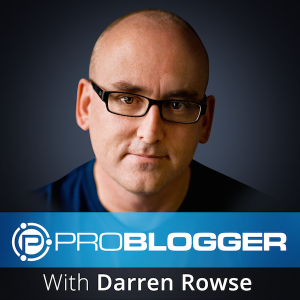 Click here to listen to day 31 of the 31 Days to Build a Better Blog series on the ProBlogger Podcast. The post 31DBBB Day 31: Next Steps appeared first on @ProBlogger. For some of you, this will be “business as usual”, as review posts are already part of your repertoire. For others, it will be something quite new. In today’s episode we discuss why review posts are even something to consider. They can be useful for many reasons, not just for the reader who may be researching a decision, but also for you and your blog too – not the least of which could lead to monetization. I built my first commercial blog 100% around reviews! We’ll also discuss the reasons for and against having reviews on your type of niche blog, and the types of reviews you could do depending on your regular topics. And last but not least, my top tips for how to make your review great – there’s plenty here for everyone, whether you think a review would fit on your blog or not. Try it and see! Click here to listen to day 28 of the 31 Days to Build a Better Blog series on the ProBlogger Podcast. The post 31DBBB Day 28 Writing Challenge: Write a Review Post appeared first on @ProBlogger. We’re going on a link hunt, we’re going to catch a big one! Today’s the day to check everything that might be turning readers away from your blog, but don’t be overwhelmed – it’s not as onerous as it sounds. Over time, you’re bound to have some broken links. The sites you link to shut down, change their link structure, move their URLs… anything can happen. It can be bad for readability, but also for SEO. I also go through a few tools that will help you on your expedition. Check the show notes for links to each, and happy hunting! Click here to listen to day 27 of the 31 Days to Build a Better Blog series on the ProBlogger Podcast. The post Update Your Blog’s Archive Pages (including Broken Links) appeared first on @ProBlogger. Today I want to challenge you to help another blogger to achieve their goals in some way – and I’ll explain in the podcast how it has a knock-on effect of helping you improve yours. There are many ways you can help another blogger along their path, and I outline quite a few in today’s episode. Some are big and some are small, but perhaps the easiest way to identify one is to work out how you would like to be helped, and offer that to someone else. There’s really no limit to what you can do. Click here to listen to day 26 of the 31 Days to Build a Better Blog series on the ProBlogger Podcast. The post How Improving Another Blog will Help You Improve Yours appeared first on @ProBlogger. Today is another writing challenge, but it’s one that need not take much time at all. In fact, it might be the shortest post you’ve ever written! Very simply, ask your readers a question. In the episode, I detail the benefits of writing this kind of post – things like how it can increase blog stickiness, how it can help you gauge where your readers are at, how to tailor your content from what you’ve learned, how it even helps your post rank higher in Google searches. And if you’re new, or concerned that you won’t get much of a response, take heart! I explain how it can still be useful even if you only get a handful (or less!) of answers. I also go through 12 tips and ideas for asking readers questions on your blog, so you will come away with plenty of ideas to help you nail today’s challenge. I’d love to see what kinds of questions you ask your readers, so feel free to leave a link in the comments to your post and we can check it out. Click here to listen to day 25 of the 31 Days to Build a Better Blog series on the ProBlogger Podcast. The post 31DBBB Day 25: Ask a Question appeared first on @ProBlogger. A very easy and enjoyable task for you today: read a magazine! Old media has the potential to help you improve your “new media” blog in any number of ways from marketing ideas to design ideas, to content ideas and more. I give a few areas to look out for as you’re browsing, but for the most part, in that first flick-through, just see what jumps out at you. What piques your interest, what makes you reach for your notebook to jot down a few things? I give a list of items you’ll need for today’s challenge in the show notes, and some tips and questions to ask yourself to help you get the most out of this session. The value of this exercise lies in stepping away from your own blog for a little while, and gaining some fresh ideas and perspectives. Click here to listen to day 24 of the 31 Days to Build a Better Blog series on the ProBlogger Podcast. The post 31DBBB Day 24 Challenge: Use a Magazine to Improve Your Blog appeared first on @ProBlogger. Calls to action are one of those things you know you should include on your blog, but often get shoved to the end of the to-do list. They are important, but you’ll figure it out one day, right? Well today is your day! You would be surprised how many readers will do what you kindly ask of them, so if you’re looking for your audience to take a specific action, then be prepared to ask. Sign up to your email, share your post, write a comment – there are plenty of ways to gently guide your readers to take the next step, and this episode is the one that will show you how. The goal here is to snap readers out of passivity. We’re all busy, we’re all time-poor, and sometimes we need a little reminding to not just click away to the next thing. I discuss some of the calls to action you might want to consider – following you on your social accounts, voting in a poll, buying an affiliate product – the list is endless. You can only try, so today’s challenge is to write a post that contains a call to action. Gauge the reaction and take your blog forward with the knowledge you gain. What kinds of calls to action do your readers respond to? Do you see a higher rate of interaction when you ask directly? What other kinds of things can you ask them to do? I know it can feel awkward to be so bold, but just try and see what happens. Click here to listen to day 23 of the 31 Days to Build a Better Blog series on the ProBlogger Podcast. The post How to Write a Post that Has a Clear Call to Action appeared first on @ProBlogger. Today’s podcast episode is all about your audience, and how to make them feel valued. If there’s one way to build a better blog, it’s taking care of the people who take the time to read and engage with you, therefore creating a space that both you and they love. And one way to take care of those people is to not only tell them they’re valued, like we did on day five by emailing them, but by actually showcasing them publicly. Tell them why you appreciate them, loud and clear! In the early days, I regularly gave two pieces of advice: “make your readers famous”, and “love your readers to death”. Today your challenge is to do just that, and I’m here to tell you how. I also explain how it has a three-pronged impact on you and your blog and a few ways I’ve gone about publicly valuing my readers and the effect it has had. As always, feel free to share on Twitter or here in the comments how you’re doing with the challenge – can you believe we’re past the three-week mark now?! Click here to listen to day 22 of the 31 Days to Build a Better Blog series on the ProBlogger Podcast. The post 31DBBB Day 22 Challenge: Pay Special Attention to a Reader appeared first on @ProBlogger.